A perfect first manipulative! 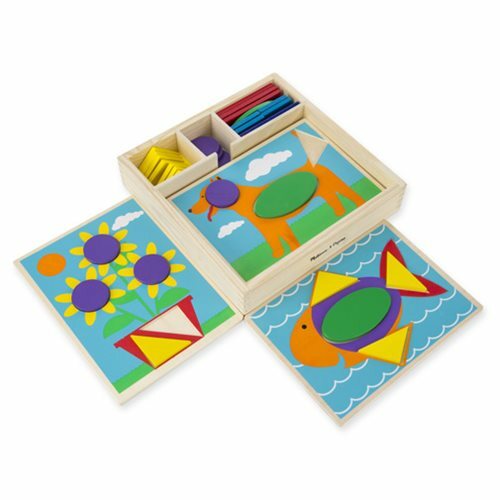 Five two-sided wooden pattern boards with ten designs feature recessed spaces for secure shape placement. Brightly colored geometric shapes complete the pictures and can also be used for color and shape matching activities. Everything stores neatly in the sturdy wooden storage box.